The well-known Italian tenor Andrea Bocelli was born in September of 1958 in the small village of Lajatico, which is situated in Tuscany. The boy's family wasn't engaged in the music sphere. His parents had their household and kept the farm with the vineyards. When Andrea was a child, he was diagnosed with the eye disease. His eyesight was getting worse and worse, and he had to have operations constantly. During the rehabilitation periods, the boy found consolation in the record player with records of the Italian operas, which he could listen during long hours. Before he knew it, Andrea began singing popular melodies and learning them. Step by step, the boy has mastered playing the piano, flute, and he even started to attend saxophone classes. At the age of twelve, the future singer has injured his head while playing the ball. The diagnosis of the doctors seemed to be a sentence - glaucoma complication because the child has become blind. But this hasn't prevented Andrea on his way to his dreams. He has finally decided to become a singer. The young man continued to live a normal life. Alongside with his studies at Law University, he took lessons at Luciano Bettarini, under whose leadership he took part in the local music contests. In his young years to pay for his studies, Andrea had to combine his education with the performances in the cafes and restaurants. Franco Corelli has become one more Andrea’s teacher who has helped him to improve his vocal skills. 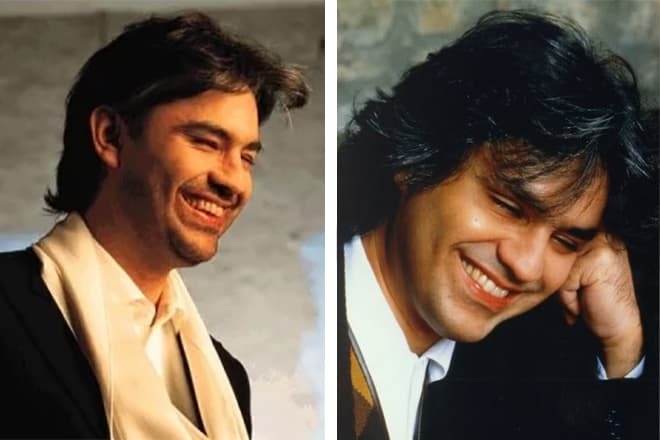 The year 1992 became a turning point in Andrea Bocelli’s biography – the eminent tenor Luciano Pavarotti received his recording of the song “Miserere." Luciano admired the vocal skills of a non-professional singer. Since that moment, Andrea Bocelli's career began to take off. A year later, the singer got his first prize at the music festival in San Remo in the category of Breakthrough of the Year. In a year, he took his place in the top of Italian singers with the musical composition “Il Mare Calmo Della Sera," which has become the hit of the singer's first plate. This album was immediately sold in millions of copies in Italy. The second album under the title “Bocelli,” has also become platinum and has had great success in Europe. 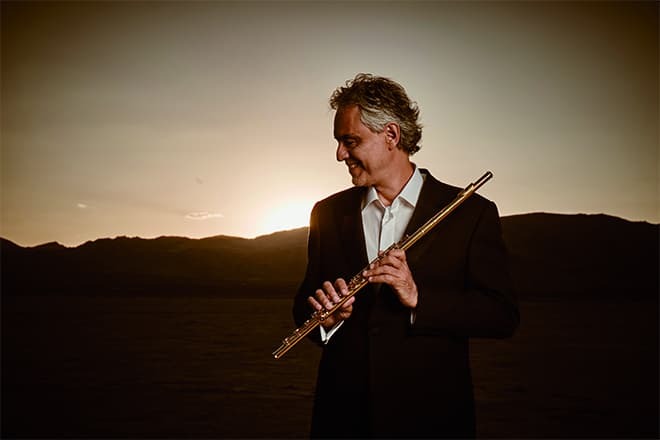 Bocelli got invitations to give his concerts in Germany, France, Netherlands. In 1995, he was honored to perform for the Pope in the Vatican and to receive his blessing. If the singer’s first albums represent just classical opera music, by the time of recording the third album, the singer who performs with closed eyes began to have the Neapolitan songs in his repertoire. The fourth album “Romanza” fully consisted of smash pop songs. With the single under the title "Time to Say Goodbye," which the young Italian singer performs together with Sarah Brightman, he takes over the whole world and then sets off on tour to North America. 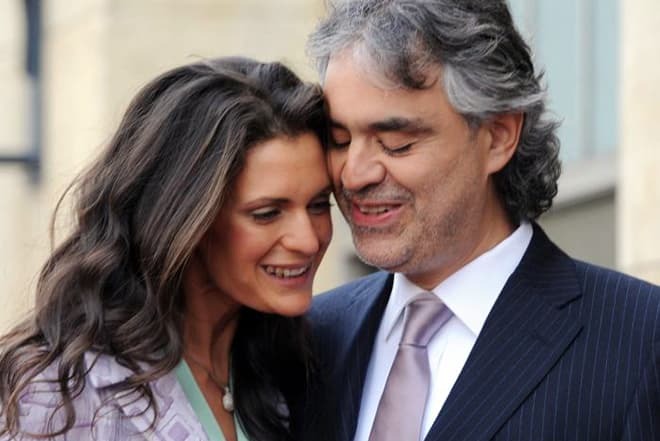 Andrea Bocelli has always had good taste for beautiful melodies and great voices. In 1999, he performed the hit "The Prayer" together with Celine Dion. For this composition, he has received the Golden Globe Awards. In a duet with the Canadian singer Lara Fabian, who is called the owner of the "angelic voice" by all the music critics, Andrea performed the song “Vivo Per Lei." The golden tenor takes part not only in the duets with the stars. For example, the Italian singer presented his song "Con Te Partiro" to the young French singer Grégory Lemarchal, who had the cystic fibrosis disease. Unfortunately, the talented performer died hardly he turned 24 years old. There are many photos and videos of Grégory Lemarchal on the web. In 2015, Bocelli sang in a duet with the rising American singer Ariana Grande. They performed the single under the title "E Piu Ti Penso." Still being a student at Law Academy, Andrea got acquainted with his first wife, Enrica Cenzatti. In five years after they had met each other, in 1992 the couple got married in the church. 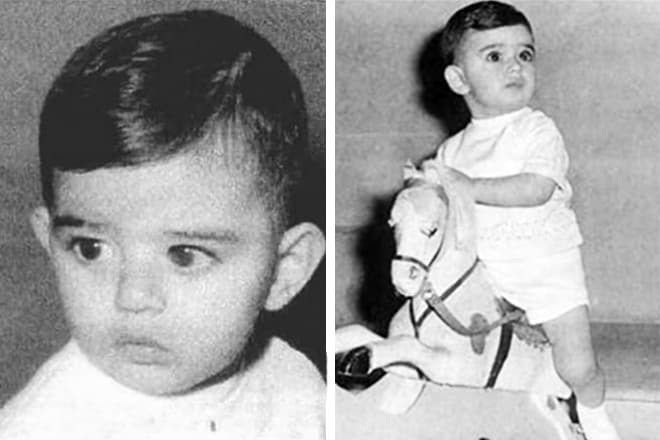 At the moment of birth of his two sons, Amos and Matteo Bocelli’s popularity was increasing. Constant travels of the singer, shootings on the television began to stand in the way of his family happiness, and after some time Enrica filed for the divorce. In 2002, the spouses divorced. But Andrea Bocelli hasn’t remained a bachelor for a long time. At the age of thirty-three, he met the eighteen-year-old girl Veronica Berti, the daughter of the maestro Ivano Berti. The young people began to have a love affair, and after a while, they started living together. Veronica has become not only the singer's wife but also his director. Sometime later, Bocelli's elder children have moved to his new family. In 2012 the happy family was waiting for the replenishment: his wife Veronica gave birth to their daughter Virginia Bocelli. In Russia, the public has always met the Italian singers with delight and admiration. Andrea Bocelli wasn't an exception. Russian people at once have liked the phenomenal, talented tenor, and he has begun to have many friends in Moscow. Andrea Bocelli gave his first concerts in Moscow and St. Petersburg in 2007. A couple of years later, Bocelli with pleasure accepted an invitation from Gazprom to perform at the festive evening, which was held in honor of the anniversary of this huge company. Besides, the singer appeared and performed on the 60th anniversary of the composer Igor Krutoy. The composer and the singer have become good friends. At the beginning of 2016, Andrea Bocelli again came to Russia and got acquainted with the Russian pop star - the singer Zara. The Italian musician has appreciated the professional skills of the young artist and offered her to perform three duets together at her Kremlin concert. 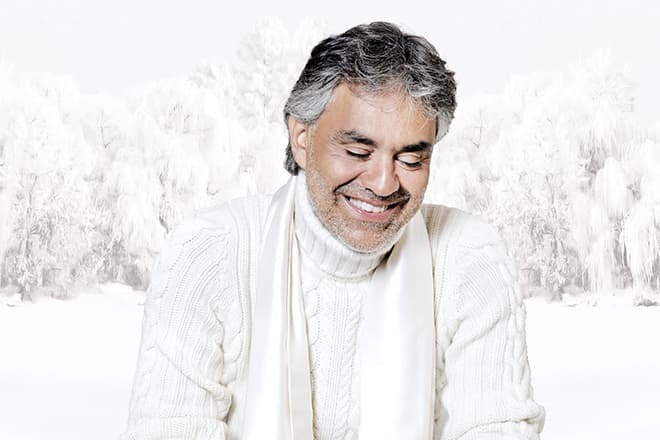 Except for the popular singles "The Prayer" and "Time To Say Goodbye," Andrea Bocelli has performed with Zara the new duet "La Grande Storia." At present, the best-selling singer of classical music and Italian pop music has settled in his estate near his native town. Besides his engagement in the music, the maestro is fond of the horses: he has a small horse ranch on his farm. His close people are his beloved wife Veronica and his little daughter Virginia, who likes singing so much and delights her father with this fact.